Angela Galan Martinez is a junior and part of the ALMA academy. She’s currently living with her mother, grandparents, and two twin brothers. She’s an extrovert, but has some introverted characteristics (aka ambivert - a person whose personality has a balance of extrovert and introvert features). After school she usually babysits her cousins or goes out with her friends. She helps out with Class of 2020 when they have any fundraising to do. She is also a part of Reading Legacies. Her favorite food is posole and her favorite music genre is indie music. Her favorite movie series is Harry Potter, with her favorite being The Sorcerer’s Stone. She likes to read and recently read the book Five Feet Apart. If she were to travel somewhere in the world, she would like to visit England and be a tourist and see eveything. 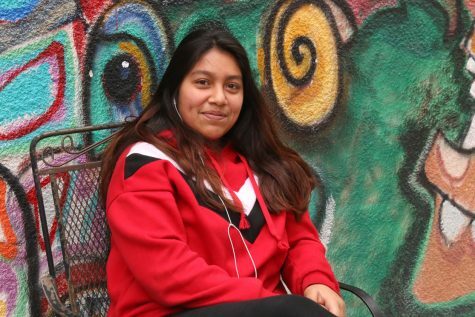 After high school, she plans to go to college. She hasn’t decide on what major or career she will be pursuing yet. The college she plans to attend is UC Davis.